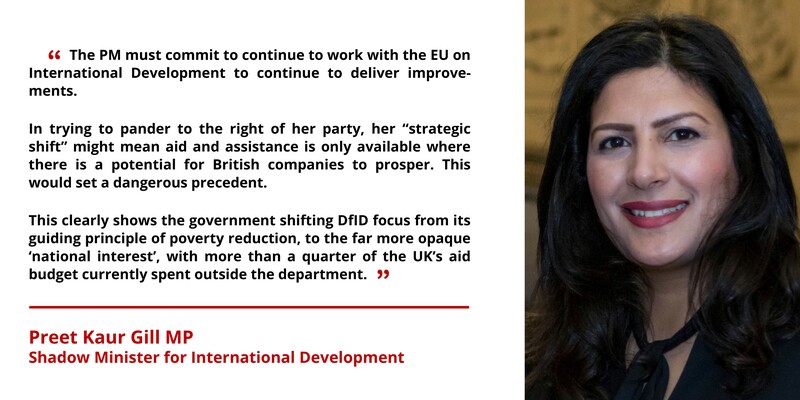 "The PM must commit to continue work with the EU on International Development to continue to deliver improvements. In trying to pander to the right of her party, her "strategic shift" might mean aid and assistance is only available where there is a potential for British companies to prosper. This would set a dangerous precedent. This clearly shows the government shifting DFID focus from its guiding principle of poverty reduction, to the far more opaque 'national interest', with more than a quarter of the UK's aid budget currently spent outside of the department."